Later this week I’ll be dashing off to the Country Living Fair here in Ohio. It’s actually a big weekend around here with that and then the Springfield Antique Show And Flea Market Extravaganza going on about an hour from here. In a couple weeks The Junk Ranch is going on over in Arkansas. Not close, but I’d love to go some day to see my blogging peeps out yonder. 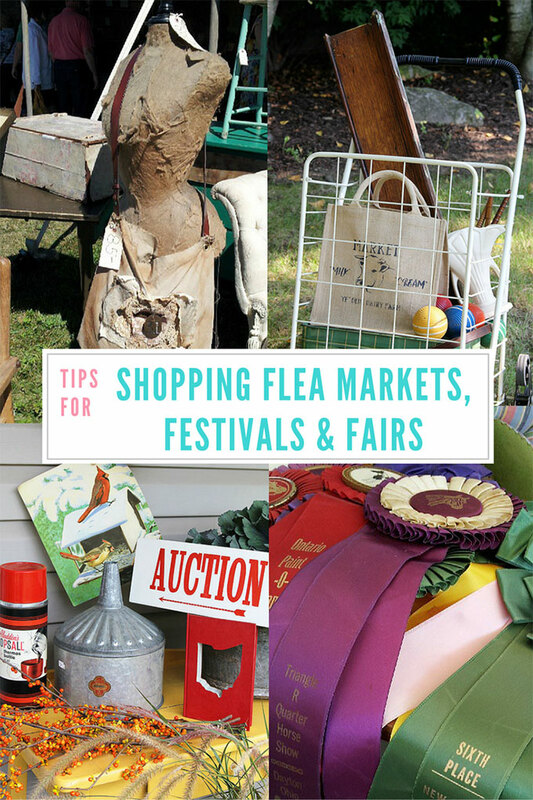 It is officially the season for flea markets, festivals and fairs. And barn sales and craft shows and . . .
Lots to do. Lots to see. Lots to buy. So I thought it’s as good a time as any to give you my . . .
Shop Early – For the best selection shop as soon as they open. The Country Living Fair has early-bird tickets available where you get in before the hoards of people who bought regular tickets can enter the gates. Oh, My, Golly! Did that make a huge difference. It was so nice to casually and enjoyably shop the fair before the cattle other shoppers were let in. Regardless of where you go . . . go early. OK, not as catchy as #1, but Shop Late or The Last Day – The best bargains can often be found late in the day or on the last day of a show. Last year I found lots of vendors cutting prices just so they would have less to cart back home. And now all the vendors will hate me, but hey, I’m here for my peeps. Bring cash, most vendors at larger shows take credit cards nowadays, but cash still rules the roost. Buy it when you see it or you may lose it – Many a time I’ve went back to grab something on the way out and it was gone. The nerve of those people to buy MY thingie-doo-wop. Didn’t they know I wanted it! Haggle, but don’t be obnoxious. OK, items at the Country Living Fair are pretty much set prices, so this may not be the best place to earn your haggling chops. But other flea markets and festivals are great places to ask if they will take a lower price. But if you want to bargain, then at least be respectful. Yes, you might be able to find the same thing at a thrift store for $10 if you go to 2,459 thrift stores over the next five years. But these people have done the legwork for you, have cleaned the item, have toted it to the fair, have paid booth rental fees, have staged their area, etc. So asking for 5-10% off is reasonable, but asking for half price is just plain rude. I think a very nice passive way to inquire about a reduced price is to ask “Is that your best price?” And if the answer is YES, either pay it or walk away. Clothing. Wear some. But seriously, if you’re going to a spring or fall show the weather will be varied, so I normally wear a light sweater over a short sleeved t-shirt or blouse, so I can disrobe as the day goes on. And for all things Holy, wear comfortable shoes. You’re going to be walking. A lot. My first year at the Country Living Fair I wore a pair of brand spanking new boots that were oh so cute and adorably fall-ish. And I had the blisters to prove it the next day. Over the shoulder purse or fanny pack (for hands free shopping) – Do they still make fanny packs or have those been banned in the United States? Cardboard box and blanket left in the car to pack things with for the happy ride home with your new treasures! What about you? Any shopping planned this weekend? 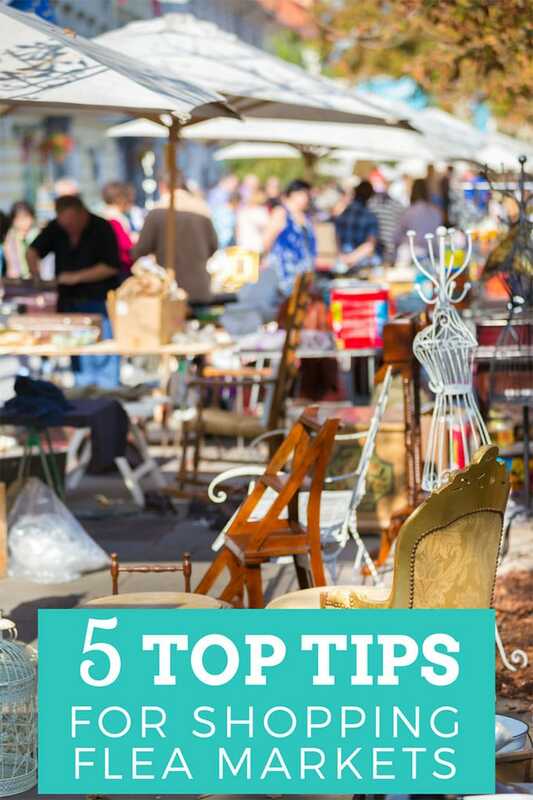 Any ideas to add to the Tips For Shopping Flea Markets, Festivals And Fairs? I’m so jealous and happy for you! I can’t wait to see what you come home with! I love flea markets so much. We have one here that is the first weekend of the month and it is amazing. And yes, please for the love of all that is holy people WEAR CLOTHING. I’m going to the fair in Columbus also. My friends and I are going on Friday. Since I live in Springfield, I am planning on going to the antique show as well. This show is called an extravaganza because the buildings and all of the outdoor area is filled with vendors, hundreds of them. They do an extravaganza twice a year, spring and fall. It is definitely worth the trip if you have ever considered going. Hope to run into you Pam. Your blog is one of my favorites! I normally go to the spring Extravaganza which is fabulous and then it seems like they always schedule the fall one the same weekend as Country Living. I always have intentions of going to both, but wear myself out on Friday at CL. I hope to make it over this year though. I just need to learn to pace myself! Lots of good tips, Pam! Junk Bonanza is next week, but I’m afraid I’m going to have to miss it again arrggh. Great tips! I only seem to go to one place, an antique mall. But if I get a chance to go to one, I’ll use these suggestions. Ah yes, the fanny pack SHOULD be banned in the US, b/c it is NOT flattering to anyone’s bod, but now that I’m over 50, I don’t care…ahem….not TOO much anyway. I still have mine with a metal wire embedded into the part that goes around the waist…just in case pickpockets decide to cut it off when you’re not looking. They can’t! Ha! You can tell I’m a serious fanny-pack-wearer…I paid extra for that feature. And yes, I have forgotten my wallet before too…rather embarrassing. All your other tips are spot on. I usually need every single one of the things. Also I appreciate the tip to be nice & not over-haggle. This is not about an open air flea market, but online I recently had a customer who made a huge fuss about a hidden handling charge of 50 cents on something she bought. I ended up refunding her the 50 cents b/c she made such a fuss & to get her off my back. All that to say…yes, people can really be over the top sometimes. All over 50 cents??? Bless her heart 🙂 There was a vendor selling feedsack purses at the fair and they had feedsack fanny packs. OK, they called them something else, but they were basically a fanny pack. They’re coming back in style. Pam, I hope you have a great time at the CL Fair! I was planning to go this year for the first time, but just couldn’t manage it. Maybe next year. I will be anxious to see what goodies you bring home. Yippee!! Fall is open!! Love this middle time of Sept. – blog fall home tours begin, the fairs and festivals start filling up the calendar – Ohio has lots, doesn’t it?? and it plain ole just feels better to be outside. 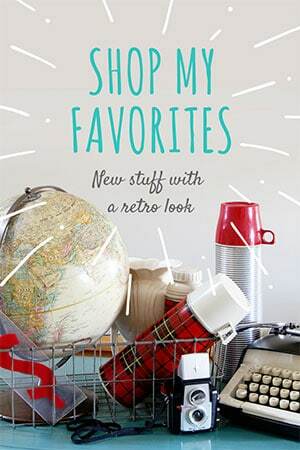 Will say Hi if I see you, excited to do both Country Living & Extravaganza – you are one of the bloggers that always makes me smile and appreciate the joy of junkin’ and life in general!! Did you get to the Extravaganza? I went to Country Living on Friday and then cancelled my plans for the Extravaganza on Saturday because they kept talking about how much it was going to rain. And then it ended up not raining! I’m not listening to the weathermen anymore! Your feet should thank you. That was a LOTTA walking. Fun walking, but a lotta ground to cover. The vendors brought wonderful treasures. Sat. was sun, rain, sun, rain. The fairground announcer would give ten, 15 minute warnings with radar reports. Spaces were covered in impressive time, tents buttoned up, then just as quickly uncovered and opened up. We put in a full day at both events, lotta fun, but lotta walking. My favorite treasures are my new jean flower patches from Farmhouse Frocks, just have to decide where to put them – highly cute. How was your Country Living day? Shout out for The Junk Ranch! Woot! Thank you Pam! I will say that I have only had a handful of people ever ask for a better price on my items. I really only carry smalls, so I think they save their haggling for bigger priced items. Enjoy the CL fair – that is on my bucket list. It’s still hot here – so the Junk Ranch is going to be another hot one. Ugh. Gotta support my junkers out there! Hope you have a good one! HAVE A BLAST, PAM! I have been salivating over the BHG thing I signed up for, holiday decorating ideas, etc. Delighted to see two of your autumn front door/porch ideas among the photos! Recognized your style immediately, and was just tickled for you! YOU ARE FAMOUS!!! Have fun. I can’t wait to hear how it went. I always go last day for the bargains. There’s always plenty to choose from, even on the last day. If I missed something that was there earlier, I don’t know about it, so I’m not going to sweat it. 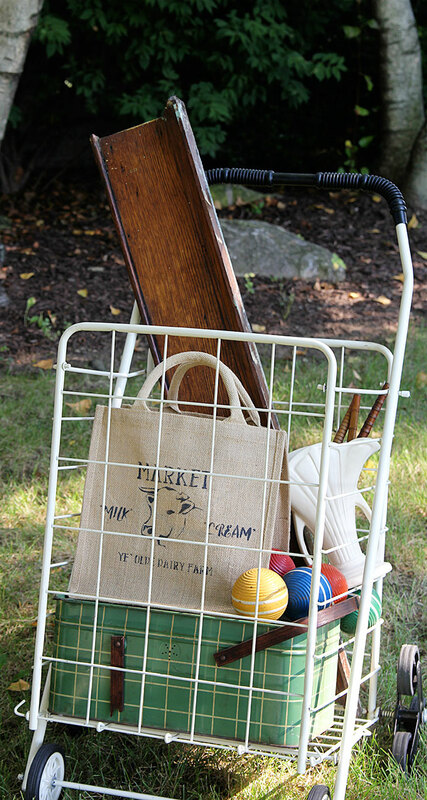 Another hint: If you do use a granny cart, or even a tote bag, stop every so often and repack your items. You’ll get more in that way. Plus, you always find the Victorian cobblestones you’ve been searching for right after you have purchased the Queen’s teaset, and you don’t want that to get smashed. I bring a sturdy tote bag that rides in my cart. The breakable stuff goes in it, and when I find heavier items, I can just lift the tote bag out to put them in and the fragile stuff always stays on top. Great ideas!!! I had every plan to go back on Sunday to get some more stuff, but then life got in the way of my shipping 🙂 I did have fun on Friday though! Like your blog very much. Am mentioning you on mine next week. Just wanted you to know. I am so glad to have stumbled onto your site!! 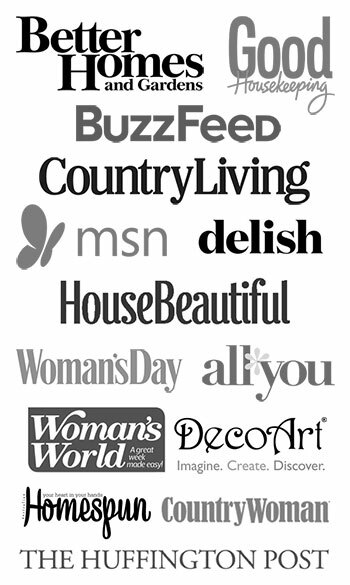 Great ideas, useful tips, beautiful farmhouse suggestions, etc. and all cleverly written in my kind of tongue-in-cheek humor. Don’t know how I never saw your site before, nor how much I was missing. Aw, thank you! You made my day!! !